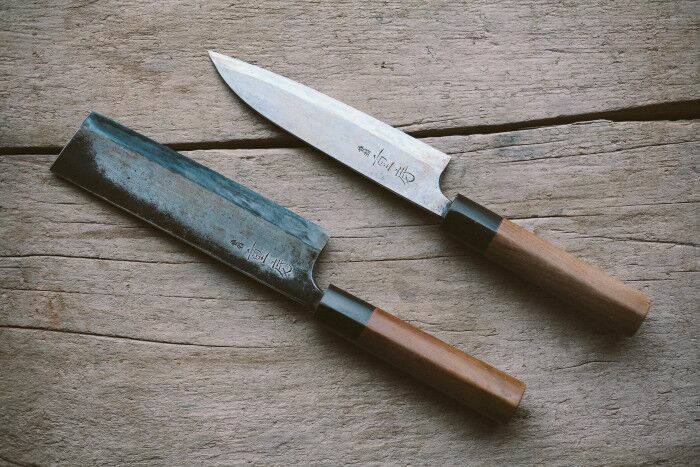 An in-depth Ceramics focused culinary tour in Japan with Ace Camps Travel and Prairie Stuart-Wolff of Cultivate Days. Karatsu, Japan - November 2019 Learn more here! Join us in the beautiful southern region of Japan, off-the-radar of the tourist masses, as we explore the intersections of food and ceramics, and the special story that interplays between them. Karatsu and surrounding areas are filled with bold culinary flavours you won't find in other parts of the country and sought after pottery such as earthy Karatsu stoneware ~ the roots of Japanese ceramics. We will meet with local makers, chefs, food producers + harvesters- think soy, sake + nori, modern ceramic artists, traditional potters and more. This intimate behind-the-scenes experience will be curated and lead by Prairie Stuart-Wolff. Prairie is a writer and photographer, who will bring you on a journey of of epicurean ideals from the heart of Japan. You will enjoy home cooked meals, Yakitori, Sushi, Ramen, Soba, Eel, + three different versions of kaiseki. Traditional kaiseki is a course menu of specialty dishes utilizing fresh, local ingredients presented in fine vessels made of ceramic and lacquer. Autumn is a wonderful time of year to visit Karatsu. The ginkgo leaves are turning yellow and beginning to fall. The persimmon trees are heavy with fruits and festive. The yuzu is ripening and the daidai (Seville oranges) are turning from green to orange.It’s the season of mushrooms, new rice, autumn snapper, persimmon, ginkgo nuts, and lotus root to name a few. Group Size: Minimum 8 guests and maximum 11 guests. *Rooms are shared with one other guest. Airfare to Fukuoka, Japan is not included. THIS TRIP IS NOW SOLD OUT. If you are interested in visiting Karatsu at a later date, and you would like to be the first to know please add your email address to our early notification list by clicking the button below. Thank you! Located in a delightful corner of Karatsu, between the estuary and the beach, Yoyokaku is a small, charming ryokan - a traditional Japanese inn - with a history stretching back over a hundred years. Yoyokaku features superb food, beautiful ikebana, Japanese baths, a traditional garden, and warm hospitality. An important note about the beds at Yoyokaku, here you will sleep on traditional Japanese floor futons in tatami mat rooms (not a western style mattress). All rooms feature elegant, traditional Japanese design and décor, a garden view and ensuite bathroom. This oceanside western style Japanese hotel features spectacular sea views from every room. The hotel features an ocean front pool, restaurant and is located at the foot of the spectacular Saga Pine Forest, also known as Nijinomatsubara. This magnificent forest of black pines dates from the 17th Century, when the first lord of the Karatsu domain, Terazawa Hirotaka, planted black pines along the dunes as protection against wind and tides. Upon moving to Japan in 2007, Prairie immediately recognized the great depth and beauty of Japanese culinary traditions and her good fortune to have married into a family of accomplished potters, dedicated cooks, and food connoisseurs. Her father-in-law, Takashi Nakazato, has long been a recognized champion of talented growers, producers, and chefs. Eating at her mother-in-law, Kuniko’s table kindled a desire to know more about the fascinating ingredients she used and the techniques in the kitchen that daily transformed them into such exquisite dishes. Thus began an endeavor, to learn about and document the principles and practices of Japanese food and culture in context. We are also very fortunate to collaborate with Hanako Nakazato, a 14th generation potter from Japan, Hanako’s technique and philosophy are rooted in the ceramic traditions of Karatsu, Japan. But years spent living in the West has influenced her shapes and surfaces. Her wide variety of simple functional forms are carried in many galleries and shops throughout Japan and the US. She currently divides her time between studios in Japan and Maine. As a culinary focused tour, the meals are a main aspect of the week and the more adventurous you are, the tastier this trip will be for you. Unfortunately we are unable to handle specific dietary requirements, allergies or intolerances on this trip. Seafood dishes will feature prominently during this Ace Camp AND we recommend you enjoy eating RED MEAT + fish in particular. Japan is not always an easy place to travel for vegans, vegetarians or those with restricted diets such as gluten-free. Many foods in Japan that appear to be vegetable based are likely prepared with dashi (stock), which contains dried fish and soy sauce. Gluten, fish + soy sauce in particular are staples in Japanese cuisine. Japan is full of wild and wonderful things to eat. While we won’t be challenging you with the strangest aspects of the food culture, even day-to-day eating in Japan can taste quite different to someone unfamiliar with the cuisine. ACE CAMPS will email you when it is time to make your travel arrangements. This email will always be sent 90 days or more before your trip departs unless you book within 90 prior to the camp. There will be no refunds for this Ace Camp due to the planning and logistics involved. This trip will start and end in Fukuoka, Japan. November is a wonderful time of year to visit Southern Japan. Days are mostly temperate with a real sense of autumn chill mornings and evenings. Temperatures range from 48°F to 65°F, which means you should pack layered clothes for your stay and a light jacket + umbrella to prepare for the odd shower. Make your own way to our hotel in Fukuoka, located steps from Hakata Train station. The airport and train station (where the Shinkansen/bullet train stops) are easily accessed as they are just a few minutes away. Due to many flight arrival times in the evening, there are no planned activities today. This morning is free for you to explore Fukuoka, the hotel is within walking distance of the Shofukuji temple complex, completed in 1195 it is the oldest Zen temple in Japan. Around noon, we will meet at the hotel and enjoy a casual meet and greet lunch with everyone. We’ll taste Hakata’s famous tonkotsu ramen distinguished by thin noodles in pork bone broth. After lunch we will take the train 90 minutes south to Karatsu. Check in to the Seaside Hotel. Dinner this evening at Arutokoro (a traditional washoku course meal). Arutokoro is run by Sunao and Megimi Hirakawa and located in a farmhouse at the foot of mount Kagami that the couple renovated themselves. Kaiseki trained chef Hirakawa serves a course menu of traditional Japanese food using local, seasonal ingredients. Meals are prepared in an open kitchen visible from the the dining tables using techniques such as grilling on binchotan white charcoal and cooking rice in an iron pot over an open flame. We start this morning with a private, hands-on cooking class at Arutoko. You will learn basic Japanese kitchen techniques which include the proper way of cooking rice and making dashi. Our lunch will consist of the dishes we prepare this morning. This afternoon we will visit the ceramics studio of Ryutagama. Ryutagama was founded by Takashi Nakazato, the youngest son of Taroemon Nakazato who was bestowed the honorific title of national living treasure in 1976 for his efforts in reviving an ancient and dormant tradition of pottery in Karatsu. Here you can see two wood-fired noborigama kilns, a throwing room featuring kick-wheels, and a showroom with works for sale. Today Ryutagama is run by Takashi’s son Taki who works alongside his own son. Following this, we will tour the studio of monohanako established in 2007 by Hanako Nakazato. Hanako apprenticed under her father at Ryutagama. At monohanako we will see a different example of a production studio. Each piece is wheel thrown by hand and Hanako will demonstrate her throwing technique, throwing off the hump with a gyubera (bull’s tongue tool). She’ll explain the technique’s efficiency and history particular to Karatsu. Here we will enjoy afternoon tea and sweets, and have some time to learn more about Karatsu’s pottery traditions, ask questions, and peruse the showroom where Hanako’s works that blend traditional techniques with modern sensibilities are on display and for sale. Today we head towards the small seaside city in Fukuoka Prefecture, called “Itoshima” a true hidden gem in Japan. The peninsula is dotted with organic farms, stylish cafes and rolling beach breaks that attract surfers year-round. We start our morning with a tour of the Mitsuru Soy brewery. Throughout the second half of the 20th century, soy brewing across Japan was centralized and the role of local brewers was reduced to flavoring, packaging and branding soy brewed off-site. When Yoshinori Joh took over his father’s brewery, he committed himself to reviving the tradition of brewing annual batches of soy on site. Using traditional methods and brewing in beautiful wooden vats, he uses only the basic three pure ingredients of soy, soybeans, salt, and water, eschewing the food coloring and sweeteners that have for many years defined the soy here on the southern island of Kyushu. Late afternoon we return to Karatsu and have dinner at Hirata where Tomohaya Hirata, a Kyoto kaiseki trained chef, assisted by his wife Rika, serves a course menu of elegant dishes made with fresh, seasonal ingredients in local ceramics. This morning we visit the Karatsu fish market & vegetable stands to learn about local seasonal produce and select items to use in our cooking class this afternoon. Today we’ll enjoy a casual lunch at a local cafe. This afternoon Prairie will lead a cooking class at her home. She will explain and demonstrate the different kinds of dishes and cooking techniques used in preparing a traditional home cooked meal. With Hanako’s studio just paces away and a cupboard full of Nakazato pottery, Hanako will talk about the use of pottery at the home table and offer some insights into plating techniques. We will cook several courses of a traditional home-cooking meal, plate them in Hanako’s pottery, set the table and eat dinner together at Prairie and Hanako’s home. Return to Seaside hotel after dinner. This morning we pack our bags, and move from the Seaside Hotel to our traditional Japanese Inn - Yoyokaku. Today we travel to the Ariake Sea region for a boat trip to see nori cultivation and visit a processing facility. We will have a tasting and educational talk before heading out on the water to witness the full cultivation process. Since we’re in Saga today, we’ll enjoy a lunch centered around Saga beef, considered one to the best Wagyu beef brands in Japan. Dinner this evening is a traditional ryokan style kaiseki meal served in your room at Yoyokaku. This morning we will visit the ceramics studio of Naoto Yano. 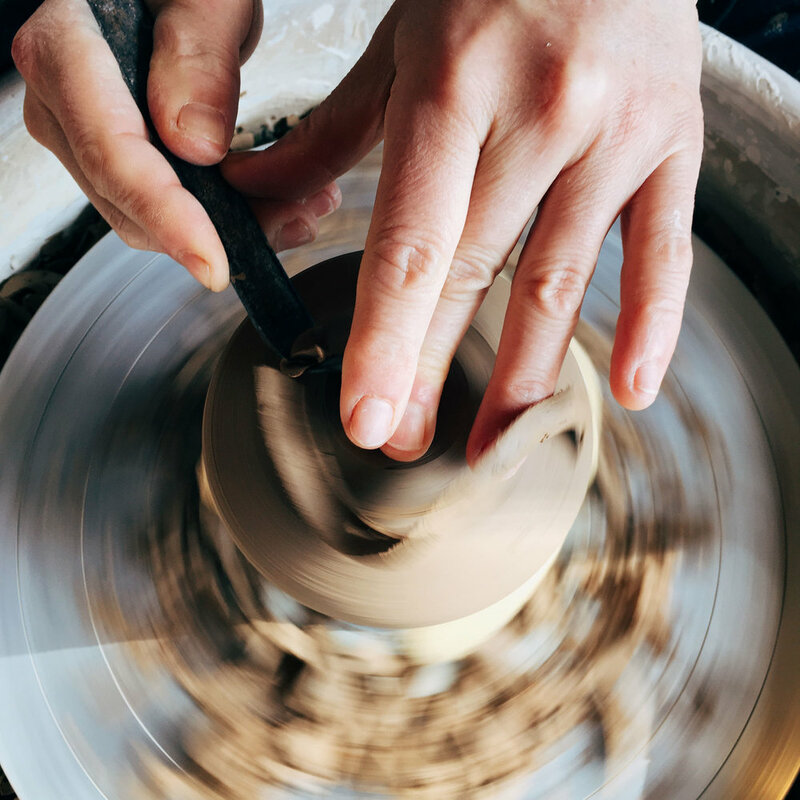 Yano, alongside a small group of potters in Karatsu, is dedicated to furthering the traditions of Karatsu-yaki in a style that could be described as looking forward through looking back. Inspired by the ancient traditions of Karatsu pottery that were lost for hundreds of years, he looks to history as a guide when making his work. He fires in a kiln that he inherited from his father and runs his pottery studio alongside his wife, Mayumi Hamano who makes decorated porcelain works in a style originating in nearby Arita. If time permits, we take a stroll through the small fishing town of Yobuko. Lunch today is Unagi eel. Free afternoon and evening (we’ll offer suggestions of places to go - relaxing at Yoyokaku may be just what you seek). Today we travel to Akizuki for a walking tour of the old castle town and shrines. A beautiful townscape that has been called the Little Kyoto of Chikuzen, Akizuki is a historic town which has retained it’s castle town appearance from 800 years ago. For lunch today we enjoy soba in a charming little spot tucked into the trees beside a mountain stream. This afternoon we’ll learn about the seven tea producing regions in Kyushu. We’ll learn the proper steeping method of sencha, taste a variety of green teas and learn about the role of varietals and terroir in flavor. Our farewell group dinner this evening is a private sushi party! We’ll have the grand cypress counter at Ginsushi all to ourselves and watch chef Nobuhisa Abe prepare traditional Edo style sushi using local fish.